A top candidate to replace the ailing Khamenei is both a clerical traditionalist and a modernizer. People in the know in Iran report that the hottest subject of discussion among Iranian conservative leaders these days is the issue of who is to succeed Supreme Leader Ayatollah Ali Khamenei, who is said to be suffering from leukemia. The same individuals report that the person most likely to take Khamenei’s mantle is Ayatollah Mahmoud Hashemi Shahroudi, the powerful chief of the Judiciary, whose tenure is scheduled to end within weeks. At this point, these discussions are not aired publicly. Even in private circles, the conservatives do not speak of the dangers for the establishment attending Khamenei’s transformation into a lame-duck Supreme Leader. Rather, it is supposed to be all about his terminal cancer. Right now, the discussions are at the level of contingencies. But if Iran’s political crisis continues to deteriorate, it is conceivable that a decision will be made. Shahroudi seems like a perfect fit for the job. At 61, he is at the peak of his powers. A brilliant student of Grand Ayatollah Mohammed Baqir al-Sadr of Iraq (who was himself the father-in-law of Muqtada al-Sadr, the leader today of Iraq’s Mahdi Army), Shahroudi is known among his peers for his breadth of religious knowledge and superior intellect. As a political hardliner, he is a dedicated champion of the status quo who has spent the greater part of his life struggling for the establishment or consolidation of Islamic states in Iran and Iraq along the lines set down by Ayatollah Ruhollah Khomenei some forty years ago. Moreover, as his record in the Judiciary amply indicates, Shahroudi is as ill-disposed to radical changes as he is likely to support religious modernization. In short, as a leading jurist, he has all the strengths of Khamenei and few of his weaknesses. Born of Iranian parentage in the Iraqi holy city of Najaf, Shahroudi took up Shia theology early in life, as had been the tradition in his family for many generations. He studied under Grand Ayatollah Sadr and, later, Khomeini in the 1960s. This was a pivotal period for the germination of Shia ideas on politics and governance. Sadr developed the first modern Shia theological underpinnings for an authentically Muslim government, which he followed up on by founding the Iraqi Dawa Party in the early 1960s. Other than Shahroudi, among Sadr’s students at that time were such influential figures as Mohammed Hussein Fadlallah of Lebanon, and Kazem al- Haeri (who is now Muqtada al-Sadr’s spiritual adviser) and Mohammed Baqir al-Hakim of Iraq. While in exile, Ayatollah Khomeini modified and, in his own mind, perfected Mohammed Baqir al-Sadr’s vision into what is known today as velayat-e-faqi, or theocratic rule by Muslim clerics–as opposed to Sadr’s velayat-ul-umma, which posits only general guidance by the clerics. Shahroudi gradually moved away from his mentor’s position to that of Ayatollah Khomeini’s. In the mid-1970s he was arrested and held for forty days by Saddam Hussein’s secret police because of his political activities. Shahroudi refused to cooperate with his captors, despite severe torture, but one of his brothers confessed on television to all the charges and implicated his comrades in a nefarious plot. After Sadr’s execution in 1980, Shahroudi permanently moved to Iran, where he founded and for a while led the Supreme Council for the Islamic Revolution in Iraq, or SCIRI, currently known as ISCI. In 1996 Shahroudi joined the hard-line Guardian Council as a jurist. Finally, in 1999 he was appointed by Khamenei to take the helm at the Iranian Judiciary, a post he has held continuously up until now. 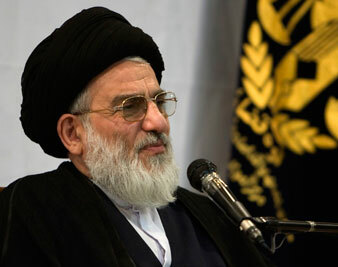 “To most people, Shahroudi’s years at the Judiciary are highly anomalous,” a prominent legal scholar told The Nation. “On the one hand, hundreds of journalists and political activists have been arrested and abused under his watch without access to legal counsel, members of Parliament have been prosecuted, people have been forced to make false confessions and many other such deplorable instances. On the other hand, he has been the first head of the Judiciary to institute a moratorium on stoning and some other inhuman forms of punishment, he has decriminalized certain offenses and he has proposed amendments to the family law in favor of women.” Yet, to those familiar with the traditionalist-activist school of Shia political theology and jurisprudence, of which Shahroudi is an exemplar, such paradoxes need not be surprising. The task of a traditionalist faqi, or jurist, in this context is not to uphold international norms of human rights but to help erect a pure and authentic Islamic government while conforming Sharia to a modern political and social setting. Part of the job of a political and religious leader would be to balance these often conflicting imperatives in a successful synthesis. Shahroudi has done much to bring efficiency and rationalization to the gargantuan machinery of the Iranian Judiciary, with its 160,000 judges and legal and administrative personnel, nearly 9 million annual cases of litigation and hundreds of thousands of people in jail. For instance, he has introduced computerization, reduced the work force and turned over many legal disputes to makeshift local arbitration committees. Aside from this, he has in some notable instances–and against vociferous opposition by some hardliners–overruled longstanding Islamic legal practices regarding certain forms of punishment and selected cases of inheritance law. At the same time, during his tenure the Iranian Judiciary, along with the other law enforcement organs, ensured that dissent would be mercilessly stamped out. Iran’s hardliners consider organized forms of opposition, even the most innocuous, to be a threat to their utopian vision of an Islamic state. There is one other, often-neglected aspect of Shahroudi’s leadership that merits consideration, namely, the Judiciary’s occasional but critical opposition to the rapaciousness of the Ahmadinejad government. Shahroudi and other top judges have issued several official statements against attempts by Ahmadinejad’s faction to turn over important state assets and resources to their cronies in the Iranian Revolutionary Guard Corps. During the recent presidential election campaign, the public prosecutor condemned the national radio and TV for giving undue airtime to Ahmadinejad. At a time when Supreme Leader Khamenei has been giving uncritical support to Ahmadinejad and his allies, these positions by the Judiciary are both significant and symbolic, highlighting as they do Shahroudi’s closer affinity with the traditionalist-activist milieu, which holds that the clerical leadership must be even-handed and nonpartisan–something Khamenei has apparently been unable to achieve. Babak SarfarazBabak Sarfaraz is a pseudonym for a journalist in Iran.